Our teachers are exceptional, very well qualified, experienced and long-serving. They routinely receive regular training to ensure they are up to date with the latest educational practices. Our team work together to create exciting learning opportunities, and are committed to pastoral care.The positive and personal approach used by each teacher helps our students develop a love of learning, and inspires them to excel. 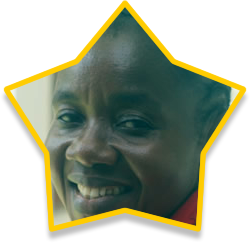 Claire is the current Head Teacher at Ikoyi Nursery School. A graduate in Spanish and French, Claire initially worked in marketing before moving into teaching. She previously worked at Les Petits Genies, a French preschool in Lekki. 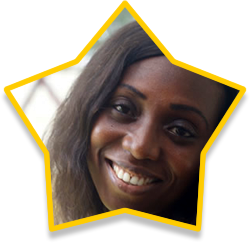 An economics graduate from the Ambrose Alli University in Edo state, Mrs Ameh joined Ikoyi Nursery School in 2005. She previously worked at the Home Science Association primary School in Ikoyi. 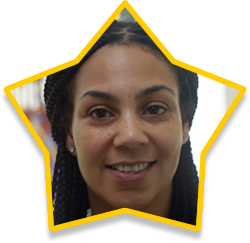 A hardworking dedicated member of the team Mrs Ameh has completed several professional development courses during her time here such as Jolly Phonics and effective early years practice. She is actively involved in the organisation of the Christmas nativity play each year and displays a creative flair with the range of art/crafts activities she develops for the children. A graduate of the St.Peterberg Institute of Education and the Leningrad State Institute of Education where she completed an MA in Pre School Pedagogics and Psychology. 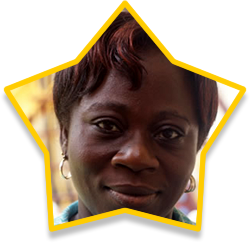 Mrs Odejayi has been in the teaching profession since 1992 and worked at Lagos Preparatory School between 2006-2008. She joined Ikoyi Nursery School in 2008 and has completed several professional development courses such as effective learning and planning for learning and development, communication and language development in the early years. 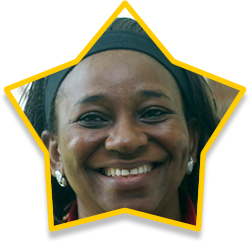 Mrs Agiamah joined Ikoyi Nursery School in 1992 and has worked her way to her current position of Goofy Class teacher. 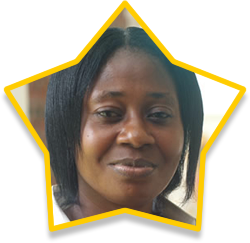 In addition to her vast experience, Mrs Agiamah has successfully completed several teaching training courses including Montessori Early Childhood Education and Jolly Phonics. 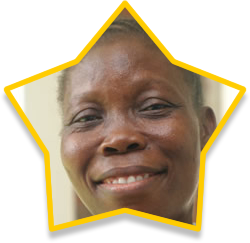 Mrs Agiamah quickly builds an excellent rapport with the children, through her positive attitude and warmth. Mrs Ogunrin joined INS in 1989 and is currently a teaching assistant in Mickey. She has undertaking training on several areas of the Early Years Foundation stage including Personal, Emotional and Social Development, literacy and mathematics. She is working hard to improve her IT skills as well as her observation/reporting skills. Having joined Ikoyi Nursery School in 2013, Miss Joy comes with several years of pre-school experience in schools around the Lekki axis. 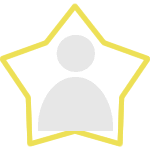 She is a lively, hardworking member of the team and has shown a great deal of enthusiasm to improve her skills and knowledge. Miss Ene works very closely with Mrs Odejayi planning the curriculum for Donald children, carrying out observations and reporting on each child’s development and next steps. She has a vibrant personality and makes every activity fun and engaging for the children in her care. She has attended many workshops and courses to continually improve her early years teaching skills such as Jolly Phonics, effective teaching practice and computer courses. She also takes responsibility for organising and helping the children learn their parts and songs during the annual Christmas nativity play. Mrs Anyanwu has worked at Ikoyi Nursery School since 1987, nurturing several generations of children as they prepare for primary school. 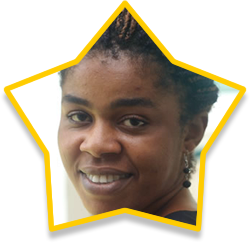 She works alongside Mrs Agiamah to develop fun and challenging curriculum for children aged 4 plus. 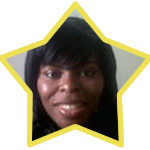 She has successfully the Montessori Early Childhood course, Early Years Practice courses as well as Jolly Phonics and IT training. Basit Oshodi was the captain of Amsterdam FC Ikoyi for 6 years till date and trialled in Abuja for U-20 national team in 2011. He has attended coaching clinics organised by the Lagos State Football Association. He also coaches Little Tigers FC in Banana Island. Mr Koffi Fabunmi is the artistic instructor for Feet Print Afrika; a theatre company and the proprietor of P.A.R.K.S, a children’s performance studio. Koffi works with many performance organisations in Lagos and has provided African Dance classes for INS for several years. Mr Henry has been playing tennis for 27 years now and has worked with the Nigerian Tennis Federation and Eko Hotel for many years. He is a member of STI (School Tennis Initiative) and ACCESS Tennis and PTR (Professional Tennis Registry). Mr Henry has provided tennis lesson at Ikoyi Nursery School for several years. Mr Dapo visits Ikoyi Nursery School twice a week to give music and singing lessons. He is also actively involved in many of the school events such as the Christmas nativity play, Independence and International Days and our Easter parade. Mr Dapo was Head of Music at Queens College, Yaba where he worked for over ten years. He currently works at the National Troupe as a musical director. Mrs Annie works with the children on their arts and crafts projects and spends three sessions a week in the school. She also runs her own arts and crafts club which take during the school holidays. Ikoyi Nursery School © 2019. All rights reserved.